Best-selling author Peter Thomas Senese has recently released three noteworthy international thrillers in E-book top critics are raving about. Peter Thomas Senese novels, ranging from the conflict between faith and genomic science, from the post 9-11 realities of an attempted shift in a new world order, and about a father's unbowed love and determination to find his abducted son inspired by his own life experiences chasing the cyclone of international child abduction has had readers raving about each of Senese's unique, current, and meaningful stories, as Peter Thomas Senese has been called a master storyteller. 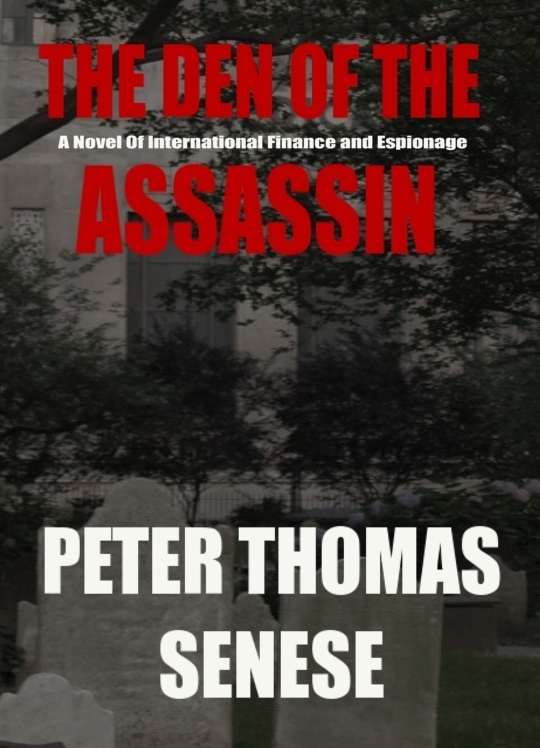 Three international thrillers released E-books by best-selling author, filmmaker, and child advocate Peter Thomas Senese have top book critics raving about the writer's geopolitical must read, inspirational thrillers. 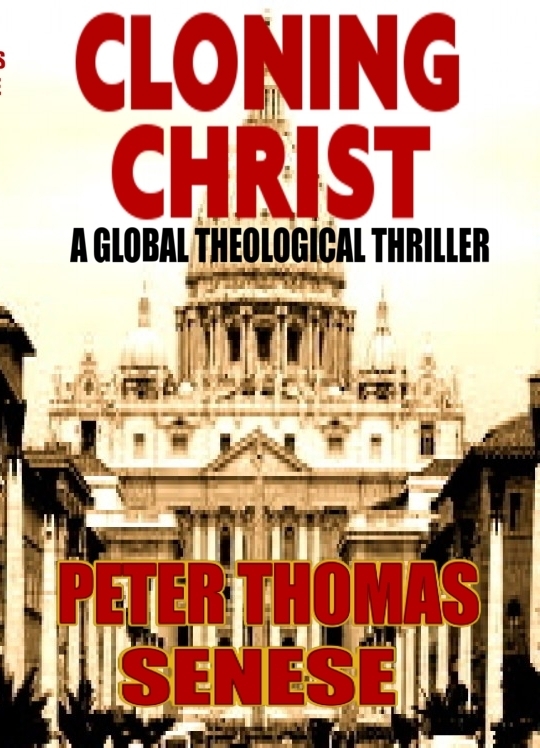 Peter Thomas Senese's geopolitical novels include CHASING THE CYCLONE, THE DEN OF THE ASSASSIN, and CLONING CHRIST written by best-selling geopolitical thriller writer Peter Thomas Senese. All three titles are available in E-book. Chasing The Cyclone will be released in hardcover this February, while both CLONING CHRIST and THE DEN OF THE ASSASSIN are presently available in hardcover. 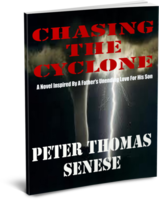 Amazon's renown HALL OF FAME reviewers are praising Peter Thomas Senese's international legal thriller CHASING THE CYCLONE as an electrifying story fans of high suspense thrillers should read. CHASING THE CYCLONE, presently available exclusively as an E-book on Amazon in E-book, is a heart-pounding story of father's search for his internationally abducted child inspired by the author's own experience chasing the cyclones of abduction. Amazon Hall of Fame book reviewer Daniel Jolley commented, "Chasing The Cyclone" isn't just a powerful novel; it's a call to arms against a growing epidemic that is tearing lives apart behind the headlines... "Chasing The Cyclone" is much more than just a superb, can't-put-down novel, though; it is a book with a purpose... Peter Thomas Senese has become an outspoken advocate on this issue, and 'Chasing The Cyclone' makes for a clear and profoundly effective call to action. I would go so far as to encourage every loving parent to read this book, as the bond between this father and son is one to be emulated..."
In the wake of recent international events, including Iran's capture of a U.S. drone spy plane by possible cyber-hacking combined with Russia's immediate protective agreement to develop major oil fields in southern Iran, along with the death of North Korea's isolationist dictator, Kim Jong, II, author Peter Thomas Senese is pleased to announce the release of his geopolitical thriller The Den of the Assassin on e-book. The multi-dimensional plot is set on Wall Street and is based upon historical events that jettison the reader on a thrilling global geopolitical journey into the hidden and unseen worlds that exists within nations that have different global agendas than the United States and the West, including but not limited to China, Russia, North Korea, and Iran. Most concerning, as each nation has become more reliant on one another in our global society, a new level of extraordinary vulnerability to our national security has been created, one perhaps we may not be prepared for. In The Den of the Assassin, believe readers will find the uniquely accurate information on this subject that is carefully weaved through an intricate, entertaining storyline to be quite fascinating - and disturbing. Amazon Hall of Fame book reviewer Daniel Jolley stated, "This is one seriously good thriller. Billed as "a novel of international finance and espionage," Den of the Assassin is a super-realistic exploration of frightening possibilities, unsurpassed heroism, Lucifer-like evil, and terrorism of the worst kind . . . Peter Thomas Senese does a masterful job traversing the inner hallways of diverse institutions as he slowly brings all of these diverse elements together for a slam-bang climax ... "Peter Thomas Senese displays a wealth of knowledge of geopolitics, espionage, and international finance, describing all the technical intricacies of the story's elements and implications with great attention to detail -without ever letting the pace get bogged down or become confusing to the reader. He also keeps a number of secrets close to the vest, saving them for just the right time in the story . . . Many a writer of thrillers seem to drop the ball somewhere in the middle of their novels, but Peter Thomas Senese's' knowledge of geopolitics, international finance, and 21st century terrorist threats keeps the fires of detailed complexity and story evolution stoked and red-hot for the entire ride. Tyler Boxter is no James Bond, but Den of the Assassin proves to be just as exciting as any 007 caper - and much more realistic." Peter Thomas Senese is a child abduction prevention advocate actively engaged in trying to stop international child abduction and human trafficking. He is a director of the I CARE Foundation. 100% of Peter Thomas Senese's royalties earned from the E-book releases of Chasing The Cyclone, The Den of the Assassin, and Cloning Christ will be donated to the I CARE Foundation.